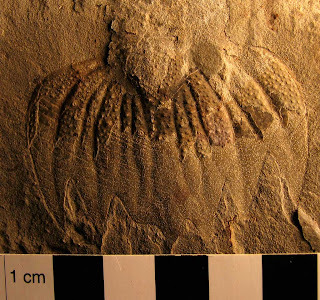 The Arctinurus occidentalis trilobite with its feathery looking pygidium is rather fragile. 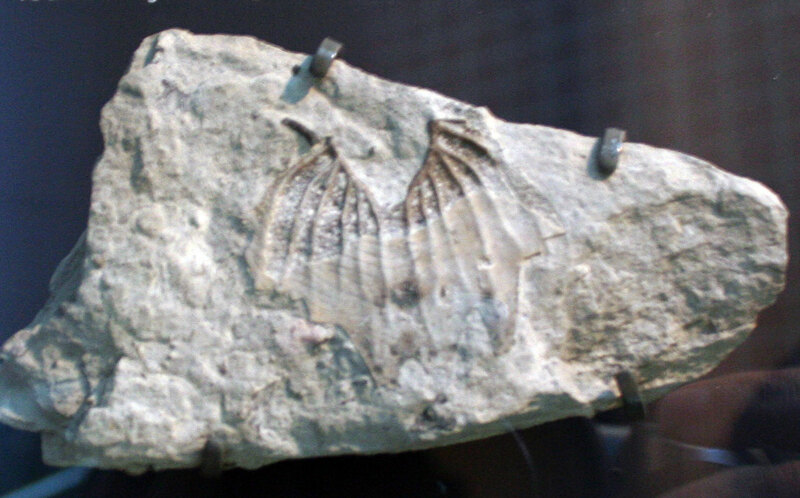 Fragments are mostly found including the one pictured of the pygidium. The fossil is on display at the Indiana State Museum (October 2010). 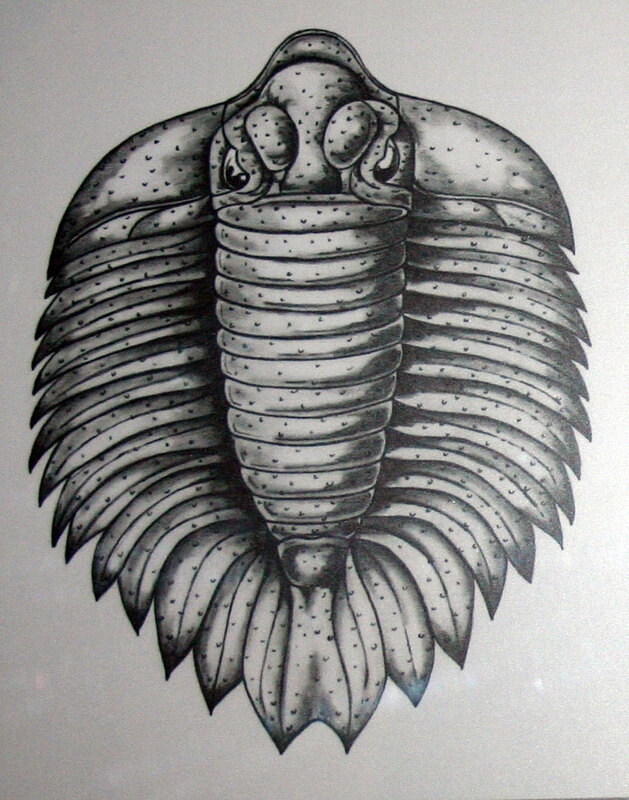 Trilobite existed in the Silurian Period and fossil was found in Waldron Shale. Image of what the entire trilobite looked liked shown below. 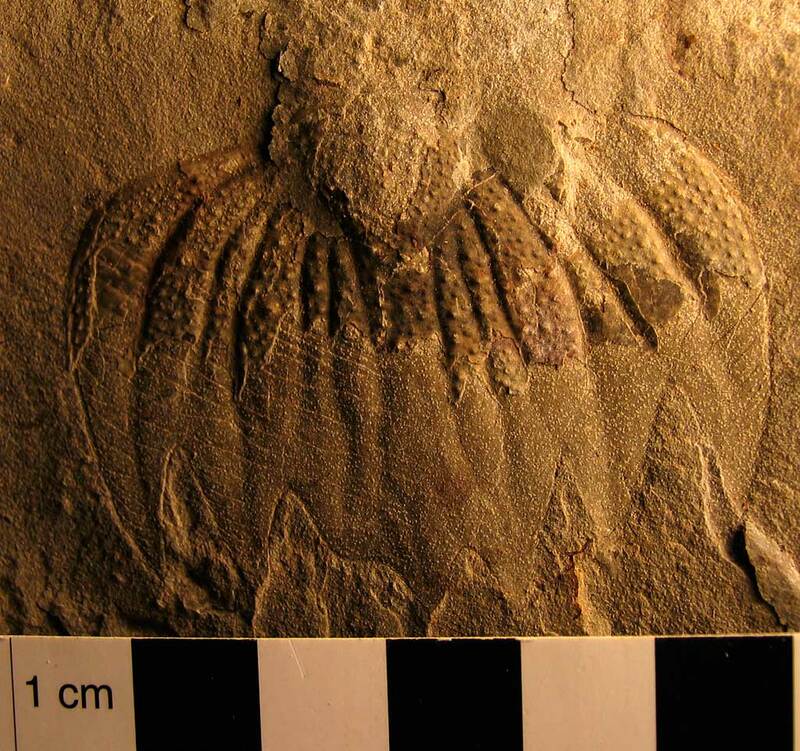 This fossil was found in the Waldron Shale of Clark County, Indiana. It is a large fragment of a small part of the Arctinurus rear section (pygidium). 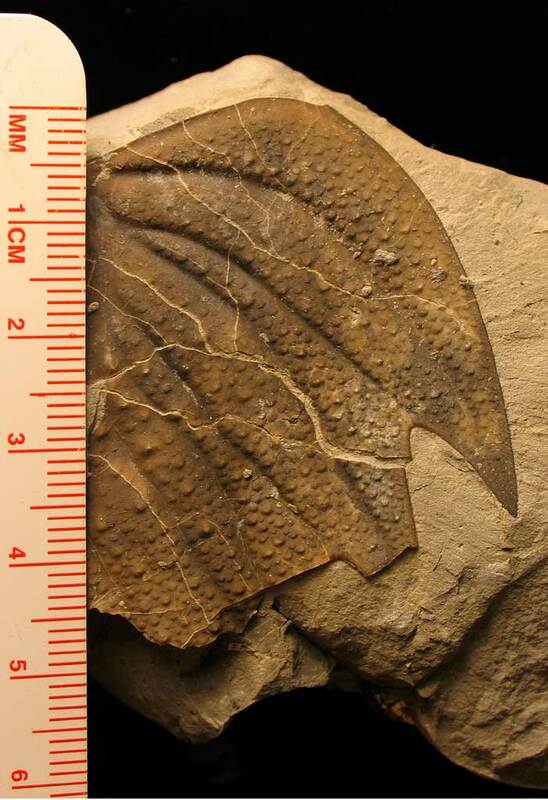 Judging by the size of this fragment, this trilobite would have been the size of a small kite! This last image is of an Arctinurus pygidium Alan found. Thanks for letting me photograph it.